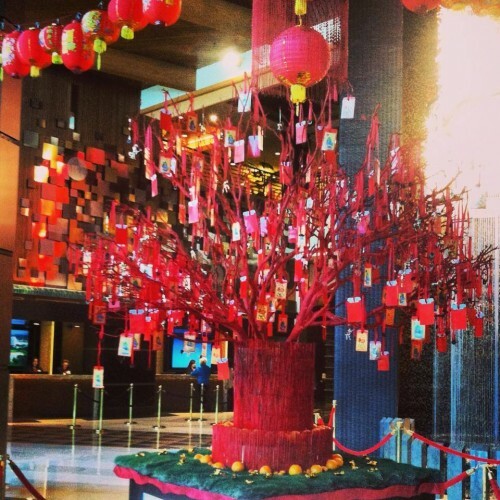 Inland Moms attended the Lunar New Year celebration at Pechanga Casino & Resort. The official seven day Chinese New Year Holiday was kicked off at the entrance of the Pechanga Hotel with colorful decor and fireworks. It was a festive event! Make sure to watch the video to capture the spectacular traditional festivities and fireworks! The Chinese festival marking the start of the new year, beginning on the second new moon after the winter solstice and ending on the full moon fifteen days later. It is marked by visits to family and friends, special meals, fireworks, and gift giving. We were so excited to be able to participate in the celebration.